The Royal Canadian Legion has announced this year’s National Silver Cross Mother. 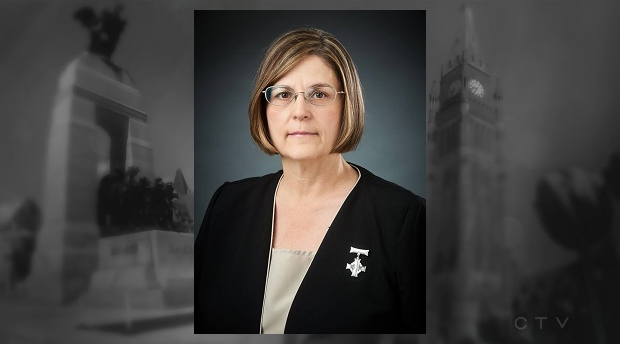 Anita Cenerini of Winnipeg, Manitoba will represent all mothers who lost children in the military, either in action, or over the course of normal duty, until the end of October, 2019. 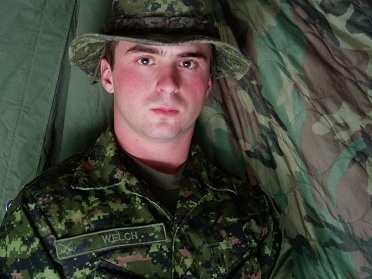 Cenerini’s son, Private Thomas Welch, was an infantryman with the 3rd Battalion, Royal Canadian Regiment, based in Petawawa. He joined the Forces in 2001 and served as a gunner in Afghanistan in 2003. Welch died by suicide on May 8, 2004. He was 22 years old. His death is considered the first death by suicide attributable to military service of a Canadian veteran of the Afghan mission. That determination came after Cenerini’s efforts to share details of her son’s mental health struggles during and after his time in Afghanistan. Cenerini will place a wreath at the National War Memorial on Remembrance Day, and will participate in other events honouring Canada’s fallen over the next 12 months. This is the first time that the mother of a soldier who died by suicide has been named a Silver Cross Mother.